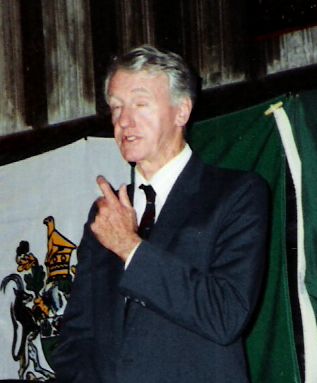 With the recent independence of Northern Rhodesia, Ian Smith and his cabinet decided that the time had come for Southern Rhodesia to declare independence from its colonial forebear. Although Southern Rhodesia was already a self-governing colony (since 1923), Britain would not recognise full independence until a racially unqualified democracy was installed. Resisting the possibility of political disempowerment, Smith declared unilateral independence from Britain in 1965, dropping the “Southern” prefix since it was no longer needed (Northern Rhodesia was now Zambia). Rhodesia was then a rebel state, neither recognised by Britain nor by the rest of international community (excepting of course, by the South African Apartheid regime). Following the Unilateral Declaration of Independence (UDI), the British administration asked the United Nations to put a trade embargo in place pending a continuing rebellion. After unsuccessful talks between the two countries in 1966, the UN complied with the request and implemented sanctions against the Smith regime. These sanctions were increased again in 1968 following another round of failed talks. Despite the UDI being deemed an illegitimate and, essentially, illegal act, the British government didn’t subdue the Smith region with violence, instead opting for a diplomatic and economic solution. The Smith regime did, nonetheless, face violence: militant African nationalism in the form of Joshua Nkomo’s Zimbabwe African People’s Union (ZAPU) and Robert Mugabe’s Zimbabwe African National Union (ZANU) terrorised the Rhodesian state. The warfare strategy used by ZANU and ZAPU was that of a guerrilla war used with great efficiency and success by the Boers against the British towards the end of the 19th century. Indeed, guerrilla tactics have become quite synonymous with liberation movements (and, depending on one’s political point of view, terrorism). The intensification of the internal armed conflict combined with economic pressures caused by UN backed sanctions against Rhodesia meant that Smith eventually had to open up a dialogue with the nationalist movements described above. The negotiations showed some progress when, in 1978, Smith agreed to a biracial governance system that kept the racial minority in charge key state apparatus, including the armed forces, civil service and the judiciary. The Bishop, Abel Muzorewa, led the congregation of African leaders that accepted the terms of peace, and it was the Bishop who became the first Prime Minister of Zimbabwe Rhodesia. Seeing this as an amicable solution, the United States Senate voted in favour of lifting the sanctions imposed on the state. The commonwealth, however, rejected the idea of a settler polity continuing to have state power, and called on Britain to intervene: it was thus that the latter government invited Nkomo, Mugabe and Muzorewa to Lancaster House to discuss the logistics of forming a fully independent and democratic Zimbabwe. The constitution agreed upon secured white owned property (which the Mugabe government later ignored) and the regular implementation of free and fair democratic elections (which Mugabe also later ignored). The Lancaster House Agreement brought an end to the civil war, and signalled a new era in Zimbabwean history, although today international guests are very much more interested in visiting Durban hotels than they are in frequenting the once vibrant capital, Harare. Moreover, a lack of investment and stability in the country continues to drive desperate Zimbabweans into neighbouring countries.